The psaltery of Ancient Greece (epigonion) is a harp-like instrument. 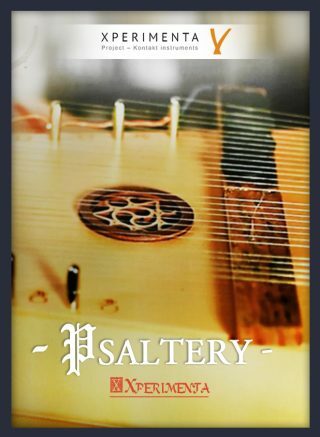 The word psaltery derives from the Ancient Greek ψαλτήριον (psaltḗrion), “stringed instrument, psaltery, harp” and that from the verb ψάλλω (psállō), “to touch sharply, to pluck, pull, twitch” and in the case of the strings of musical instruments, “to play a stringed instrument with the fingers, and not with the plectrum.” The psaltery was originally made from wood, and relied on natural acoustics for sound production. * DIY Pickup made by the XPERIMENTA Project founder Flavio Cangialosi. An innovative technique that allows you to create a full-customizable sound and outstanding effects! Pure and realistic sound thanks to our handmade pickups and low self noise michrofones. Choose between Pick, Bow or Muted mode! Not compatible with Kontakt Player. 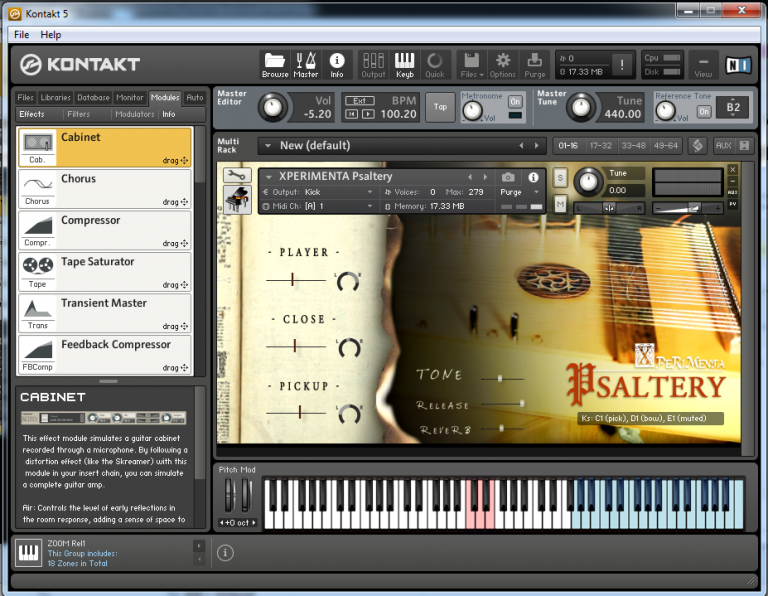 Select the folder where XPERIMENTA Psaltery.nki and “Samples” folder are in. We accept several payment methods, including PayPal. With FastSpring. Powered by Norton Security Check.